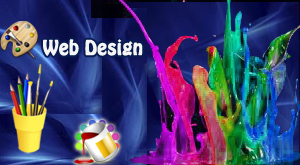 Isplchennai is one of the leading professional web designing company in Chennai. Our professionals understands the need and requirement of having websites for a business or organizations. Because it is the best way of means to drive more number of potential customers. Many organizations or business will be in need of websites since it is the powerful way to advertise and boost up their products or services to the outer world. Websites is one of the way to expand one's business or companies opportunities and it describes every nuke and corner of your company. The reason why most of the companies are tend to have website is - it benefits with an increased efficiency and profitability.99% of the people will surf the Internet for many purposes. And here comes a chance to convert those surfers into customers or clients if there is an availability of quality website. Our experts will make use of the current trends and technologies to develop such kind of quality, professional website that fits into the clients requirements and will be more user friendly. Our experts will help to make your dream to come alive. Our experts will provide a quality website that encloses the following features. Our creative and attractive website makes the customer to retain at your website without moving on to your competitor site.